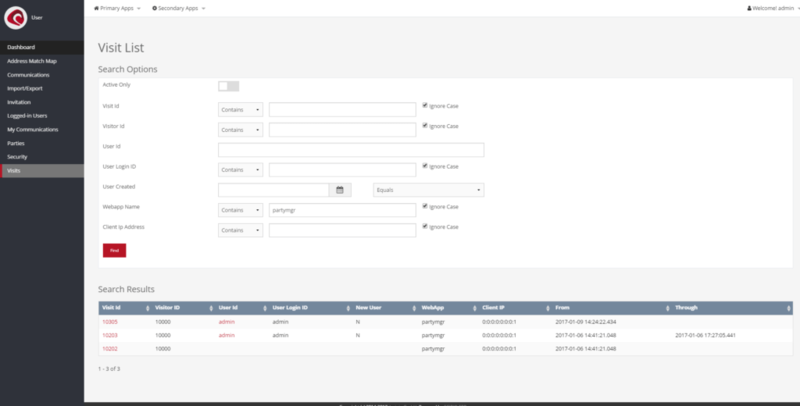 The “Visits” screen (“User» Visits”) displays a comprehensive list of requests according to the web-application and assigns a userId, if the user has authenticated with the system. The additional search form allows you to search for specific criteria, as it is often needed when one wants to figure out the request flow of a specific party, their request history or alike. Though the data itself is most often exported for external analysis, it is sometimes useful to identify the request-flow of a specific user.